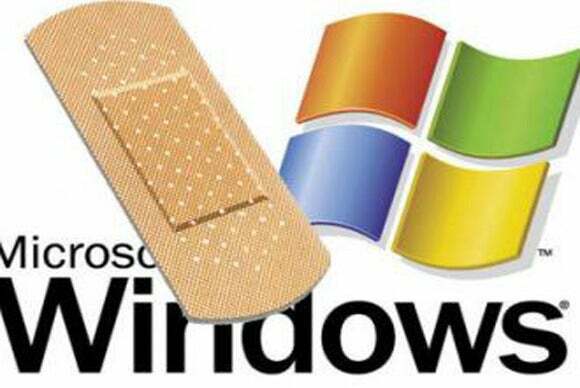 The January 2015 edition of Microsoft Patch Tuesday might be more notable for what the monthly release of security bulletins does not contain—there are no fixes for the Microsoft Explorer browser this month. To date, almost every Patch Tuesday has come with a fix for Explorer, which has long been a target for abuse by malicious attackers. All the vulnerabilities the company issued patches for Tuesday — including one marked critical—are instead found in either the desktop or server editions of its Windows operating system. All in all, it’s a pretty low-key month for Patch Tuesday, compared to the dozens of bulletins that the company has sometimes released in months past. Affected editions include the desktop-oriented Vista, Windows 7, Windows 8 and 8.1, and Windows RT, as well as Windows Server 2003, 2008 and 2012. The vulnerability marked as having a critical severity rating, MS15-004, is found in the Telnet protocol, used to provide terminal connections to remote computers. Microsoft typically marks vulnerabilities as critical when they are already being misused by malicious parties to break into systems. Telnet can be installed on all Windows systems, and is frequently used on the server editions, though the company hasn’t enabled it by default for the desktop since Windows Vista. Administrators should also immediately tend to MS15-004, which describes a vulnerability in Windows 8.1 first brought to notice by Google’s Project Zero team on December 29. Google posted details of the vulnerability after waiting for Microsoft to respond, to no avail, for 90 days. Once a vulnerability is public knowledge, it can be abused by attackers. Kandek attributed the early exposure to a possible breakdown in communications between Google and Microsoft, which normally responds diligently to reports of vulnerabilities. Microsoft criticized Google for publicizing the flaw too early. “It sounds to me that it was unnecessary for this to happen,” Kandek said. The good news is that this vulnerability is not a critical one. An “escalation of privilege” bug, it provides a way for someone with user rights to trick the computer into performing actions that are normally reserved for full administrative use. But the person would first need access to the machine in order to exploit this flaw, Kandek said. Another vulnerability that administrators should examine is MS15-007, which is a flaw in the Network Policy Server component on the server editions of Windows. “An unauthenticated user could send a special type of request to Windows authentication server and cause a denial of service, so other users could not log in,” said Amol Sarwate, director of vulnerability research at Qualys. For the first time, Microsoft has declined to send out advance notices about upcoming patches. Historically, the company sent out an advance notice on the Thursday prior to Patch Tuesday, which Microsoft schedules on the second Tuesday each month. Kandek said Microsoft’s change in practice was met with a largely negative reaction from all security professionals and researchers he spoke with. Although the monthly advance notice didn’t offer details about specific vulnerabilities, it did give administrators an idea about which software would require patches, allowing them to allocate their time in the following week accordingly. “The security community wants more transparency and more information to be shared, and this seems like a move in the wrong direction,” Kandek said. While it might be a light month for Microsoft patches, administrators and security professionals still have some work to do this week. Also on Tuesday, Adobe issued a fix for a critical vulnerability in Flash, for both the Mac OS and Windows editions. Updated at 2:21 PM with additional details.